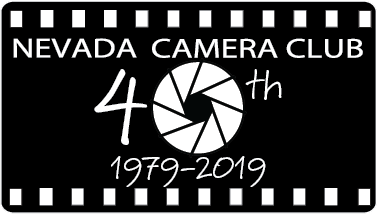 The Nevada Camera Club has Special Activities throughout the year. One activity is "The Meeting After The Meeting". A smaller group of members and guests meet at a local restaurant after our normal meeting to discuss all types of photography and issues. Each person pays their own check. This is a great way for new members to get to know the other members and get tips on how to improve their personal photography and find hidden places to take great images. Many times members invite other members in a small group to go out and shoot for a morning, afternoon, or the day. Many long term friendships are established in this manner. Other activities may be offered by one of the specific interest groups as part of the official NCC organization. Other unique opportunities dealing with photography may be presented by the local colleges or commercial retailers throughout the year.